Nothing starts the holiday season off like family, friends, food and lots of alcohol! 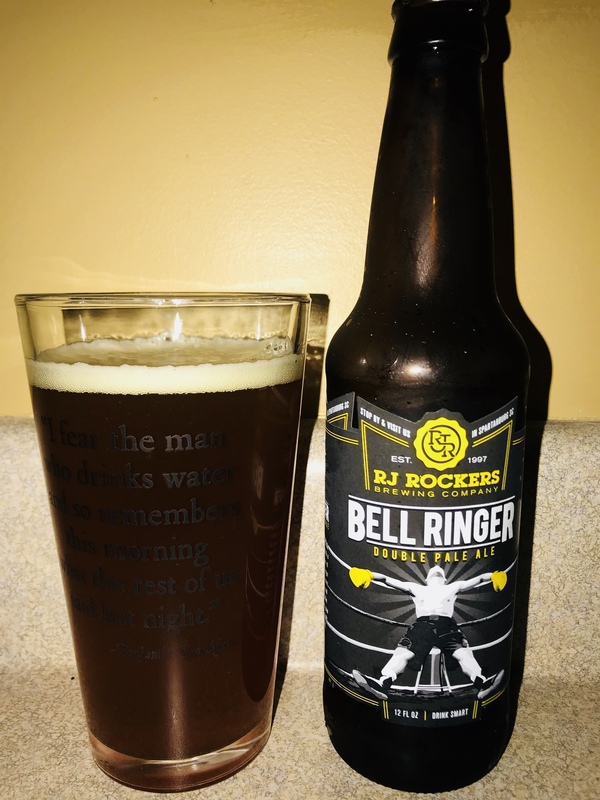 RJ Rockers Bell Ringer is the perfect beer to help “ring” in the holidays. It’s a double pale ale that has a dark but not too dark color, the scent is not overbearing and the taste is good enough to sneak up on you. It’s not overly “hoppy” but it does have a bite! This delicious libation packs an 8% alc content which will definitely help you to curb your disdain for that one Uncle that you don’t really like talking to when family gets together. Even after just one of these beers you will feel a sense of “whoa, I better not drink these too fast or I might tell someone how I really feel”. This year during Festivus, I will drink this beer prior to the “airing of grievances”, just to ensure I don’t hold anything back! Enjoy responsibly! 3.75 stars!